Guelph Rowing Club hosted another 3-hour Try Rowing session on the Canada Day long weekend for rowers who wanted to try the sport for the first time. Our crew of four fabulous ladies had a terrific time on the water, even managing to avoid the forecasted rain. They learned rowing safety, basic techniques on the ERGs (rowing machines) and then hit the water with coxswain, Michelle Scarrow, and coach, Fraser Banks. 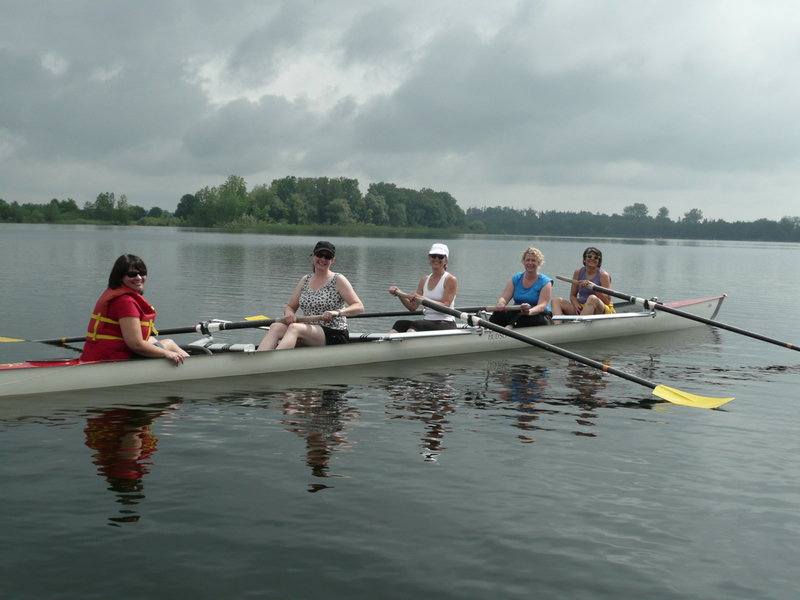 If you would like to try rowing as well, there is another session on August 10th from 9 am until noon. The cost is $70/person (including tax). Contact info@guelphrowing.ca or visit the Try Rowing page to get registration instructions. Posted on June 19, 2013 July 2, 2013 by guelphrowPosted in OtherTagged canada day, Exercise, Guelph, Guelph Rowing Club, long weekend, rowing, sports.